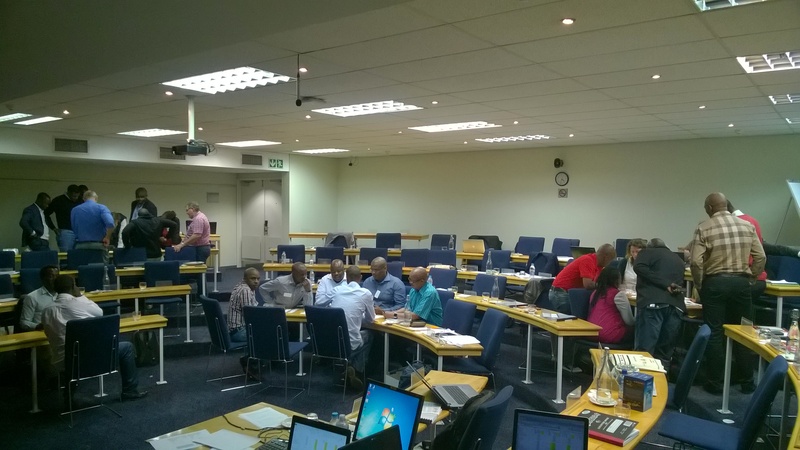 This blog is part of a series on the Energy and Sustainable Urban Development in Africa workshop, 17 – 21 November, 2014, University of Cape Town. For more details on the purpose of the workshop, see the Day 1 Blog. Day 2 of the CPD course began with an introduction from SAMSET project partners as to the state of energy in African cities currently, focusing on the SAMSET partner municipalities. The overwhelming majority of energy in African cities across Sub-Saharan Africa is consumed in the buildings sector, with limited exceptions for large industrial towns/cities (such as Steve Tshwete in South Africa), and large transport hubs (such as Jinja in Uganda). Jinja’s status as a transport hub linking Kenya and western Uganda/Central Africa more broadly leads to significantly increased petrol and diesel consumption compared to equivalently-sized settlements, and large increases in carbon emissions for the transport sector as a result. This highlights the necessity once again of the local context in specific municipalities needing to be considered in effective energy transitions. Municipalities’ own energy usage was also covered in the morning sessions, with particular emphasis on the “low-hanging fruit” still present in many Sub-Saharan African municipalities. SAMSET project team member Melusile Ndlovu presented on a variety of methods for increasing efficiency and reducing energy inputs for municipalities, following experience from a previous Sustainable Energy Africa energy efficiency potential modelling project done for the South African Cities Network (SACN). Municipal energy consumption assessment for this project was grouped under broad headings of bulk water supply and treatment, street and traffic lighting, municipal buildings, and vehicle fleets. The municipal vehicle fleet dominates the total energy savings potential (39%), with savings realisable from improved vehicle practices (the use of fuel efficient tyres, improved maintenance, tyre management, reduced mileage and awareness raising). Energy efficiency interventions in bulk water supply and wastewater treatment were said to hold the greatest electricity and carbon emissions savings potential, among the electricity consuming sectors in the modeled cities, (49% and 41% respectively), mainly due to the potential for more efficient pumping motors coupled with variable speed drives (VSDs). This session also emphasised the importance of municipalities leading by example, providing a foundation for private sector stakeholders to enter the energy efficiency sector. Parallel sessions in the afternoon covered municipal waste and MSW-energy projects in the SA and Ghanaian context, as well as the household energy transition and household energy poverty. Three presentations or residential and commercial building design, energy consumption and efficiency were given, covering everything from green architecture in the African context for high-end commercial developments, to formalisation activities in the Joe Slovo settlement in Cape Town, and the effect that densification and green design has had on social housing energy consumption. Finally, SAMSET project partner Dr Simon Bawakyillenuo from the University of Ghana presented on the Ghanaian energy efficiency standards and labeling program in Ghana, covering topics from the ban of used air conditioner sales, to the government’s 6 million CFL unit dissemination program resulting in a 124 MW peak demand reduction for the country, to the promotion of mass transit and BRT, as well as fuel use reduction in the private vehicle fleet, through public education and promotion. This entry was posted in Administration and tagged Cape Town, CFL, CPD, Densification, Energy, Energy Efficiency, Energy Efficient Lighting, Energy Poverty, Energy Transitions, Ghana, Household Energy, Municipal Government, Municipalities, South Africa, Sustainable Energy, Sustainable Urban Development, Uganda, Urbanisation on December 10, 2014 by danielkerrucl.